There are certain things in the game that scream: “THIS IS WORLD OF WARCRAFT!” Each class has their own special thing that people think of when they picture the class in their head. Some have changed over time, being iconic when the game came out and all but vanished now. Some have emerged over time, starting as a thought and finally being realized. One good thing is that I couldn’t think of one specific ability that is recognizable for the entire game. There are a few front-runners, but there are many that define each class. Blizzard has done a great job of making each class very individual (with a few exceptions), and you know who you are playing by what you can do. Shamans get two picks from me: Frost Shock and Bloodlust. Sorry Alliance, but it will always be Bloodlust and not Heroism. In Vanilla PvP, Frost Shock was one of the biggest abilities that the Horde had in their arsenal, as it was a good snare on a short cooldown that did a decent amount of damage. There used to be an addon that would have an audio file of “FROST SHOOOOOCK!” when it was used. Bloodlust, including the roaring-murloc-style sound, is such a great feeling. The very first time it was used in game for my character gave me goosebumps. Druids are pretty straight forward, being that their forms truly define who they are. Not as much as previously, with the removal of a permanent Tree Form, but I believe that Bear Form & Cat Form are truly iconic (and of course the laser chicken). There’s no mistaking what you’re fighting when you have a cat tearing up your face. Being able to be a warrior, rogue, mage, and priest all in one is a nice feeling. To me, the Warrior’s signature ability was mainly visible in Vanilla as it was before big nerfs. Mortal Strike was a high damage move that also caused the target to receive 50% less healing as a debuff. This was in place for a very long time until it was nerfed to be only 10% less healing, as it was very overpowered for PvP. 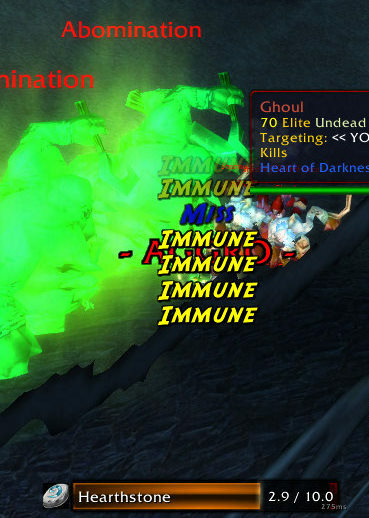 Many tanks were Arms spec in Vanilla mainly for this ability, so mobs that healed themselves could be mitigated. Close second is Titan’s Grip – being able to wield two two-handed weapons is just awesome. Rogues are mainly known for one thing: their stuns. They have close to fifty thousand of them (or so it would seem at time in PvP), and used well they can completely lock out someone for a good period of time. By the time the stuns wear off, the target’s health is low enough that they’re as good as dead. Warlocks also have two great abilities to cause grief to people: Fear and Death Coil. Both mainly in Vanilla again, but the combination of the two spells were great to keep a player or a mob out of the way for a good period of time. The only problem with PvE use of them is that they have a very good chance to pull approximately one thousand other mobs who are close by. Mages have two things that I believe is their signature, which is Polymorph and the ability to blow stuff up. Polymorph’s history goes back to the early RTS games, and thankfully stays in the game today as a great crowd control device. Being able to have different animals other than sheep is nice for groups or raids with multiple mages, but the sheep is still awesome. Plus, mages can blow stuff up, including Living Bomb. How can you go wrong? Hunters are definitely known for having their pets and their traps. The removal of Eyes of the Beast, allowing direct control over the pet, is definitely a big loss – it was also the way our guild pulled Baron Geddon in Molten Core back in Vanilla. When pets had their happiness system or needing to tame specific pets to learn specific abilities, or basically how pets were before they were all made generic are what truly defined hunters for a very long time. The traps have become a lot better, as rather than having to place them where the character is, they are now able to be launched to a location without having to sacrifice yourself. Coming close behind is feign death, which is also useful in real life. I had a difficult time coming up with a specific priest signature ability. Eventually I decided on Shadowform and the ability to be a very flexible healer. Unfortunately with all the specific heals that a priest has, there are too many to narrow down to one signature one, apart from Greater Heal. Bread and butter healing. Shadowform is very different in the fact that it gave priests a way to do very good damage and still be a priest at heart. Death Knights are pretty easy, as Death Grip is one of the first things that a player uses after rolling one. Being able to yank someone right to you, also acting as a taunt, is a tank’s best friend. Plus, a lot of fun in PvP. Army of the Dead is a close contender, as there are few things more awesome than an army of ghouls rampaging on your behalf. The Paladin signature ability was the easiest one to come up with. Divine Shield, or the infamous “Bubble”. Unfortunately not being able to last long enough for a full bubble-hearth, it still has the reputation that it definitely deserves. In conclusion, each class has things that truly make them feel unique. Even the Druid, which “borrows” the styles of other classes, still makes the playstyle their own. Even though they use rage like a warrior, they are not warriors (parrying with their faces takes skill). As a signature ability for the game? I don’t think there needs to be one. The closest “iconic” one that I can think of would have to be Bloodlust. It is synonymous with the Orc culture, and every time I hear the sound effect I can’t help but think of the Warcraft series. Unfortunately, just as one of the biggest events in World of Warcraft’s history happens, my real life schedule starts to make me busy. Never fails! However, I’ve finally had a bit of time to try out and explore some of the new areas and I’m incredibly happy. Blizzard did an amazing job at 4.0.3a, as it is literally a brand new world (with a few exceptions, of course). Initially, I went on my Druid and started to explore Kalimdor. I started out in Thunder Bluff, then went on a bit of a trip around to different places getting the new flight paths and seeing the sights. I knew that they said that the Barrens and Stonetalon Mountains would get some of the biggest changes, but I wasn’t prepared for exactly how much different it was. I think I’ll be using the word “amazing” quite often in this post. Thousand Needles is awe-inspiring. When you went through it before, you were on the bottom looking up to the very high “needles”, working around them or on top of them. The whole zone is flooded now, which gives it a whole new feel. Where there once was the Shimmering Flats now has the Shimmering Deeps, with the goblin/gnome project of a big speedboat. Through a small but incredibly fun questline, you can get your own boat that is usable only in Thousand Needles, with one part that sends you to the bottom of the sea floor to collect debris from the old raceway. 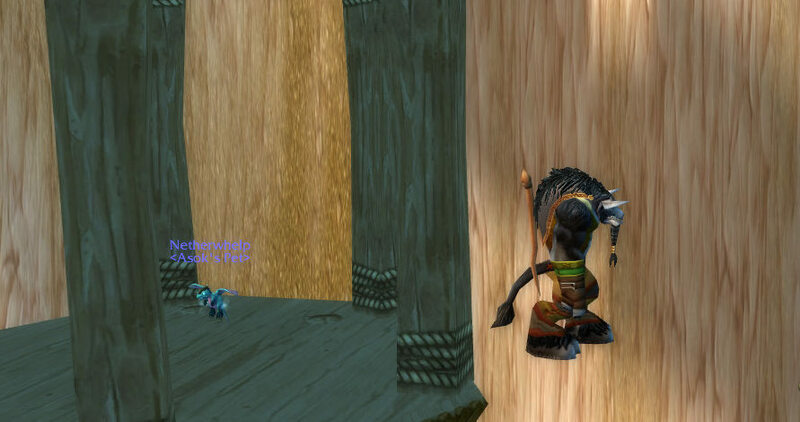 Next, my wife and I made new Taurens to check out the new starting zone there. I was wanting to make a Paladin, and my wife made a Priest. Apart from the fact that there were close to one million new characters starting all at the same time, it went well. I always had a problem with Mulgore because it was quite boring and involved lots of running around – now the quest hubs are consolidated into managable areas which involve objectives close to where you started out. We just started Northern Barrens, which I’m quite looking forward to. I never thought I’d ever say that about the Barrens. Recently I made a new Forsaken Hunter, since I wanted to have one and I heard that the new Undead zones are (once again) amazing. So far I have not been disappointed in the least. There are so many new features and quests, and also a fair amount which are the same or similar – it’s a good combination of brand new while still keeping things close to what it was before. One thing that is entertaining is that there’s a flight path in Brill, so if you wanted to be extra lazy you could fly to Undercity. I just moved into Silverpine Forest, and it is incredible. I’ve only just done the quests up to The Sepulcher, but up to now it’s been playing out like a great book or movie. 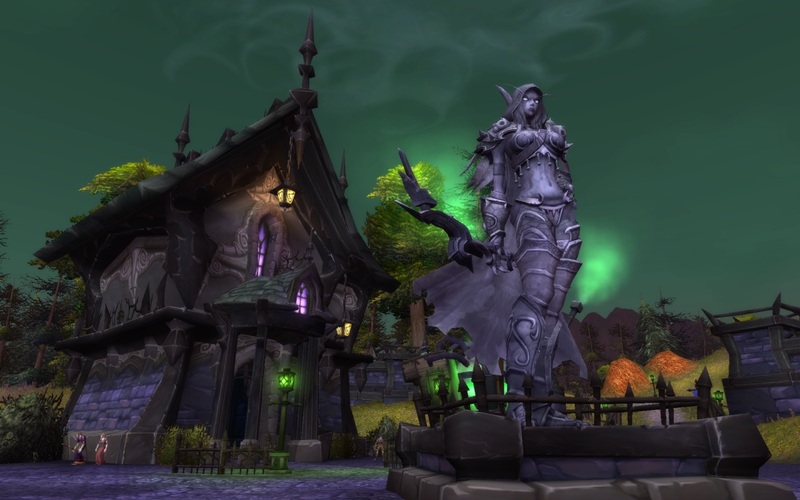 There are a few points when it goes into “movie mode”, basically a mini cutscene that advances the story – it’s happened when the Worgen story is advanced, as well as when you ride to the Sepulcher from Forsaken High Command alongside Sylvanas. I truly can’t say enough about how awesome this zone is turning out to be. My only suggestion is to NOT wear heirloom shoulders and chest, since you’ll outlevel the zone before you’re done with it. The stories are too great to miss, and I can’t wait to experience more of it. After mulling over Vanilla WoW last week, it’s time to move on to the next phase of World of Warcraft: the Burning Crusade. This was the first expansion pack for WoW, and people weren’t really sure what to expect. They had only ever had Vanilla to experience, and weren’t really sure what was possible. We were all in for a treat. Released on January 16 2007, Burning Crusade offered a number of new features to the world of Azeroth, and more importantly the new continent and world of Outland. Two new races, a new profession, flying mounts, socketed items, a streamlined endgame, just to name a few features. Like Vanilla and all other games, there were things that are remembered as successes and some that are remembered as failures. All in all, I like to think of my time in Burning Crusade as being a lot of fun. I am a true altaholic in the true sense of the word: I love to level my alts, and my main(s) suffer because of it. There are many times when I should be farming for something, questing, making money, or things like that – but I’m working on an alt instead. Right now I have a main and a main alt: my feral druid and my holy paladin. My druid is geared in some ICC25, some ICC10, and one piece of T10, with other upgrades needed from frost and triumph badges. My paladin needs a whole bunch more work than that, as he only has one piece of T9 and is still rocking a fair amount of non-epics. In order to fix this problem, I need to do random dungeons – and lots of them. Part of the problem is making sure that I have the time to do the randoms. Having a small child doesn’t really make it easy at times, since there’s the chance that I’ll have to leave at a moment’s notice. Since I’ve been queueing as a tank on my druid and healer on the paladin, it’s that much more vital that I pay attention to the run. I think that part of my love of alts comes from this. I can hop on one of them, quest around for a bit and not have to worry if my son decides to do something that requires me. World of Warcraft is very kind to me this way. All I have to do is get on my flying mount and get about fifty feet in the air, and I’m set. Yet, over the years I’ve realized that I love to raid and do dungeons. I wasn’t really sure at first, but once I got with a group of people who had fun doing it, life was much better. Since my son was born, I’ve been limited to only going once a week, which also makes me a bit antsy to do other things when I’m online. If I could, I’d love to make both nights of the 25-man, the main and alt nights for the 10-man, and do a bunch of randoms so I can finish gearing up. Right now I’ve been going back and forth between my level 71 hunter and level 75 warlock. With playing melee classes for a while, it’s nice to do the ranged ones again. Yet, I also have a level 80 resto/elemental shaman that has been sitting in Dalaran for the last 3-5 months collecting dust that I could probably put to good use. Along with them, I have a level 70 death knight, and then all the way down to a level 26 warrior. My last three consist of a level 10 rogue, being my bank and auction house go-to guy in Orgrimmar, and a priest and mage who are waiting to be deleted and re-made into goblins as soon as Cataclysm comes out. At least when Cataclysm does come out, I will most definitely not be the only altaholic around.